Noise Monster Productions has an enthusiastic slate of Space: 1889 audio dramas appearing in 2005. See their website, noisemonster.com, or read their press release PDF here. Matt Goodman will run the following Zeppelin Age games at these conventions. The following are the blurbs submitted to RelaxiCon, Origins, and GenCon. More information on the games will be posted here in March. All games will be from 1pm to 5pm (except as noted), 2 to 8 players, no experience required, all materials will be provided. Pulp Adventure in 1919! Stolen: the German Zeppelin built to bomb New York during the Great War! A fearful world watches the skies to discover why! This will be the only Zeppelin Age game at RelaxiCon and will run Friday night at 7pm. Friday: Have Zeppelin, Will Travel! Pulp Adventure in 1924! 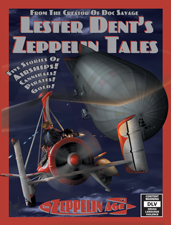 The Zeppelin Pirates want the state-of-the-art LZ 126 destined for the US! But what do they want it for? Saturday: Volcanic Dinosaur Island Of Doom! Pulp Adventure in 1931! The Zeppelin Pirates are at it again -- this time threatening the R100 on its Trans-Pacific route! Can you guess where they'll all wind up? At GenCon this adventure will run from 9am to 1pm so that Matt can make an Indianapolis Indians game at 2pm. Victory Field is a great ballpark! Check it out! We'll have a table at Dragonmeet, London's friendliest gaming convention, Saturday, December 4th, 2004. Come by and listen to our evasive answers about the release date for Zeppelin Age! Pick up a flyer with exciting preview artwork and our complete catalog! Heck, you could even buy something from our current catalog! A general update of the Zeppelin Age pages. More exciting news may be coming in a few months. Diana: Warrior Princess debuted strongly at Dragonmeet, London's Friendliest Gaming Convention, on Saturday December 13th. The fifty copies of Diana we sold easily beat the record for sales of a Heliograph title at any convention anywhere, including GenCon. Diana is now available: see our Buy It! page for more info. Tsar Wars Episode One: Angel Of The Revolution, Tsar Wars Episode Two: Syren Of The Skies, and Diana: Warrior Princess are available now from Amazon.com and Amazon.co.uk. See the Buy It! page for details. Diana: Warrior Princess debuts at Dragonmeet, London's Friendliest Gaming Convention, on Saturday December 13th. Author Marcus Rowland will run a Diana adventure at the convention, and Heliograph (in the person of Matt Goodman) will have a booth on the dealer's floor. Diana should also be available at GenCon SoCal December 11th through 14th at the Adventure Retail booth (#601 right by the front doors) with Diana artist Aaron Williams. Heliograph will provide two unique items to the Dragonmeet Charity Auction: BOOKS THAT NEVER WERE. We'll provide print proofs of two largely completed but never published books, Masters of the Graviton (adventures for Log of the Astronef) and the Risus version of Diana: Warrior Princess. These print proofs will be the only public appearance of these books with these contents. Tsar Wars Episode One: Angel Of The Revolution is now available. Tsar Wars Episode Two: Syren Of The Skies and Diana: Warrior Princess should be available any day now. We've received shipments of both of the books, but they haven't perculated through all the online retailer systems yet: you should be able to special order them from your local bookshop now (see the Buy It! page for details). Tsar Wars Episode One: Angel Of The Revolution is now available in the US and UK from online booksellers or by special order from your favorite local bookstore. Tsar Wars Episode Two: Syren Of The Skies should be off to the printer soon and will be available early next month. Ads for both books are available from our Promo page. We won't have a booth at GenCon (our stuff will be available from Wizard's Attic), but Paul Westermeyer will be running Soldier's Companion and Sky Galleons games, and Matt Goodman will be running two Zeppelin Age RPG sessions. Description: 1918: The Kaiser is sending a Zeppelin to Maple-White Land the last refuge of dinosaurs on Earth. The British have gotten wind of the plan, and are sending a team to stop the Germans plans... whatever they might be. Description:1933: The British Airship R100 is saved from demolition by an American millionaire, and now renamed the Empress of the Pacific acts as a luxury transport. But after a disturbing rescue at sea, can the crew cope with the supernatural? Description:Royal Navy Battles Martian Sky Galleons in a Battle Royale! The largest aerial steamship battle on Mars to date as the British stave off the assault on Avenel! Description:British Redcoats and tarheels on Venus battle lizardsmen and dinosaurs in a 19th century Colonial battle royale! We won't have a booth at Origins (our stuff should be available from Wizard's Attic, booth 101), but Paul Westermeyer will be running Soldier's Companion and Sky Galleons games. The "seats left" info is from a couple of weeks ago. Note that you can sign up for these online using the Origins link. Description: Royal Navy Battles Martian Sky Galleons in a Battle Royale! Sponsored by Heliograph, Inc! The largest Aerial Steamship battle on Mars to date as the British stave off the Assault on Avenel! Materials and characters will be provided. Sponsored by HOT'02 and Heliograph, Inc.. This event is limited to only 12 players. There are 10 seats left. Description: Join HOT GM Paul Westermeyer as Redcoats battle across Canals of Mars! Gatling Guns and Gashaants! Materials and characters will be provided. Sponsored by HOT'02 & Heliograph, Inc.. This event is limited to only 8 players. There are 4 seats left. After Origins, we'll be posting our GenCon game listings. The GAMA Trade show resulted in a bunch of fundamental changes for who Heliograph will do business in the future. The major change was Guardians of Order's announcement of their Magnum Opus program. Since we were going to do all of our new books using GOO's Tri-Stat System anyway, joining Magnum Opus was an easy decision to make. While I racked my brains attempting to find the down side of their proposal, I couldn't, and using GOO will make our lives immeasurably easier. The heart of the deal is that GOO will publish Heliograph's books under their Magnum Opus "creator owned" banner and handle all the icky business parts. We'll put the books together and give GOO a print-ready book, and they'll handle all the work after that (although we'll continue to provide our own advertising). The most visible result for readers is that we won't have a Heliograph booth at conventions. We'll still run games and demos at cons, but we won't be chained in a booth for the show. When we actually have product, it'll be promoted at shows by GOO. So what does this mean for you, the eager Heliograph title fan? Top Men all agree that a title sold under the GOO imprint will sell better than those under Heliograph's alone, and without the icky business stuff to deal with, Heliograph should be able to churn books out at a steady rate. Heliograph-news@yahoogroups.com is a new e-list that'll have monthly postings about our new releases, upcoming product announcements, convention information, and news about our other products. To subscribe, just send e-mail to heliograph-news-subscribe@yahoogroups.com. A few weeks ago, I set up a list for The Zeppelin Age, zeppelinage@yahoogroups.com. That list will support a general discussion of the game and all things Zeppeliny. To subscribe, send e-mail to zeppelinage-subscribe@yahoogroups.com. We'll be off to the GAMA Trade Show in Las Vegas the third week of March, so we'll be out of e-touch during the convention. We don't have much to report, but we will be representing the fine wares of Hogshead Publishing and Pelgrane Press. I've been considering making a "Hogliograne" banner, but I even have limits to what I'm willing to spend for a (bad) joke. We'll also be selling their books (and adding Clockworks products) at Origins, and sharing a booth at GenCon. I finally installed the web search engine that Cedant thoughtfully supplies. It seems to work, so check it out! It currently covers all of the stuff on the Heliograph site, which now includes the hundreds of articles in TRMGS and the material on the Space: 1889 site. We're cancelling previously announced new books in our existing lines (Forgotten Futures, Space: 1889 , and TRMGS ) to concentrate on new product lines, which include The Zeppelin Age and other exciting (and hopefully more profitable) stuff we'll announce later this year. 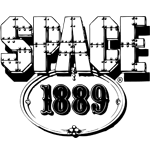 Space: 1889 books will remain in print and available from Heliograph until the license is acquired by someone else. Unfortunately, the existing stocks of Forgotten Futures and TRMGS are small, and we won't be reprinting those books. With the exception of Soldier's Companion, every book we've printed so far was done with print on demand, and we were reprinting them in small batches. While we will keep reprinting the Space: 1889 books, we will not reprint the others, so the existing supply will dry up in a few months (or longer, depending on demand). We won't be announcing release dates for new books until we're certain the book will be going to press. New announcements will come six months before new book releases, and complete press kits will be available from our web site when we make the announcement. The TRMGS material currently available on the web will move to the Heliograph page, but remain available. The current Forgotten Futures site will stay up until June 2002, and at that point Marcus Rowland, the author of Forgotten Futures, will decide if he wants pay for the site or have the URL redirect to his site. Forgotten Futures will continue to be available on CD from Marcus. The cancellations do not mean Heliograph is going out of business. "Experience is what you get when you don't get what you want" -- Dan Stanford. Back in the 90s, I was under the delusion that just because something was available on the web, that wouldn't harm sales of paper versions of those books. I was grossly mistaken. While the fact that you could download the books for free wasn't their only problem, using print on demand and LSI was also a big mistake... Soldier's Companion was the first book we've done that I was really happy with the print quality, and it was so much better it was clear that I couldn't go back to POD. In another "gotcha", distributors and retailers base their sales on future books in a series on previous books in that series. If people were going to order fractional quantities the previous sales of FF, Space: 1889, and TRMGS books, the prices I'd have to charge to break even would be outrageous. That's not to say that if these books were picked up by another publisher they wouldn't sell well... the problem is that Heliograph versions of these titles have a track record. So we're going to do new books that don't have an established track record, and try and build a good brand with them. I'm also striving to do everything right in the promotion of these new books, using the experience I've gained over the last three plus years publishing RPG books. Over Thanksgiving week, we changed web hosting providers to Cedant.com. We're very happy with them so far, but our previous provider handled some web functions differently. If you notice broken links or other strangeness, please drop us a line at webmaster@heliograph.com. Soldier's Companion, the colonial miniatures game for Space: 1889, has been seen in shops in the US and UK. Nag your favorite shop owner to get it (it's carried by most distributors), or order direct from Wizard's Attic: http://www.wizards-attic.com. Soldier's Companion is our first book done by conventional print run, so it will be available primarily through the hobby channel for a few months. Soldier's Companion, the colonial miniatures game for Space: 1889, is at the printer. Assuming only the usual printing problems crop up, the book should be in stores in August. Heliograph will reprint the long awaited Soldier's Companion for Space: 1889. The book should be available in stores in August. For 2001, Heliograph will focus on producing Forgotten Futures and Space: 1889 material. Unfortunately, this means we'll be canceling most of our other projects, including Utopia Limited. Watch this site for more information! Due to a lack of submissions, we're cancelling TRMGS. The good news is that we're starting a new online/print zine with that covers a broader subject area, which should allow us to continue publishing an online/print zine. See the for more info. Starting in October, Utopia Limited will pick up the TRMGS torch with articles for sci-fi, horror, and modern-era games. See the Utopia Limited page for more info. I've put up links to Amazon for all of our currently available books. Amazon doesn't have all the titles online yet, but I've put a * notation on those books: Amazon should have them all up by the end of the month, and if they don't, I can force a listing in October. In any case, the books are all available from Ingram, Wizard's Attic, and hobby distributors everywhere. Everything went very smoothly at GenCon 2000. WotC (in particular, Henry Mobley) did an excellent job of responding to my problems with Origins 2000, and GenCon 2000 ran on rails. Now we're back, and it's time to start planning for next year! These Heliograph GenCon 2000 (August 10-13 in Milwaukee) events may or may not make it into the onsite book. Don't miss them! Forgotten Futures is a game based on the stories of the late 19th and early 20th centuries that were precursors to Science Fiction. Four to Six players, Forgotten Futures Rules. Thursday, 8/10, 10am. Length: 3:45. Twenty years ago The Terror destroyed the evil Russian monarchy. Today a group of deluded writers including Robert E. Howard and H. P. Lovecraft are romanticising their story, making it seem that The Terror were the villains. Are they working alone, or are sinister forces responsible for this distortion of history? The 1893 Columbian Exposition in Chicago boasts wonders from three planets. Come see the largest Fire Gem ever found on Mars. Enjoy the Venusian Dinosaurs. Marvel at the latest inventions. Don't worry about the mass murderer, the mad scientist, and the Anarchists planning to kill everyone at the fair. Publishing and Reprinting RPGs Without Losing Your Shirt: A Publisher's Experience With Lighting Print Inc.
Matt Goodman of Heliograph, Inc. will discuss how to use Lightning Print's Print on Demand service to provide professional quality paperback game books while investing less than $100 in the printing process. Matt doesn't want to publish your book: he just wants to share his experience with LPI and give you some hard numbers to start thinking about. He'll also discuss the costs of reprinting out-of-print game material. Heliograph has published six new game books and reprinted seven volumes of Space: 1889 material. As many people as can fit in the room. Friday 8pm, about an hour. We returned from Origins today. Origins was an organizational mess, and unless some of the bugs are worked out (a new computer system, the tickets no longer listing gaming locations, a general lack of communication), this year's GenCon is going to be a disaster that gamers talk about in horror for years. However, for the games people could find, they had a roaring good time. Chris Jones' Soldier's Companion game in particular was pretty nifty, and enjoyed by all the participants. We'll be off to unspoilt Columbus, Ohio for Origins 2000 next week. The convention runs from July 13th to the 16th. We'll have our blimp give-away (with nifty blimp tokens), blimps for sale, a new volume of TRMGS, and (hopefully) a big pile of Space: 1889 reprints. Win our blimp! Admire our elegant Heliograph Hawaiian Shirts! Buy our books! The first Forgotten Futures book gives you all the tools to create adventures in the classics of Victorian and Edwardian fiction. It contains the Forgotten Futures rules and surveys staples of Scientific Romances: Dinosaurs, Spiritualism, and Weird Science. It also includes rules for playing children and dogs, and an adventure with Queen Victoria and the Channel Tunnel of the 19th century! "All in all, this gamebook passes the key test; do you immediately have about 40 great new campaign ideas after you finish reading it?" ��Ken Hite, "Out of the Box", Mania Magazine, 3/3/00. You can buy the book through a link on our site to Amazon.com, or use the information there to order from your local book or hobby shop. Space: 1889 Back In Print! Heliograph is bringing Space: 1889 back in print! See The Ether Society News #10 for all the gritty details. We're off to the GAMA Trade Show in Las Vegas next week (so we'll be posting next week's article a little early again). When we get back, we'll spill the beans on those exciting announcements we promised before! We're back, and we had a good show. We'll have a bunch of exciting announcements next week! We'll be away from the office (and e-mail) until Thursday, Feb. 24th attending DunDraCon this weekend in scenic San Ramon, CA. If you're in the neighborhood, drop by our booth and try to win our blimp! And if we're really lucky, we'll be debuting Forgotten Futures and our wooden nickels! The results for the TRMGS3 ratings contest are in... see the results (and winners) here! In preparation for the release of TRMGS Volume 3, we're asking for your feedback on what you thought of the articles. The articles themselves are available at http://www.heliograph.com/trmgs/trmgs3, and the response form is available at http://www.heliograph.com/trmgs/trmgs3/contest.shtml. Two randomly selected respondents will receive the complete set of Heliograph's Space: 1889 reprints, and four other lucky souls will receive a complimentary copy of TRMGS Volume 3. TRMGS Volume Two is finally available! Check out our Buy It! page to order a copy from Amazon, or to get info to order a copy from your local book shop. Either the United States Postal Service or the printer lost the material we sent in at the beginning of September. We sent it FedEx the second time, and it has DEFINITELY arrived at the printer. It should be available for purchase around the end of October... watch this space for updates. The new FF volume, Victorian Villany, is available from Heliograph's Forgotten Futures site as well as from the Marcus Rowland's site in the UK. The new FF Volume covers the World of Melodrama and Criminal Fiction, 1820-1914, and Melodramatic Role Playing Rules and Adventures. TRMGS Volume Two goes off to the printer tomorrow (September 7th), so the book should be available in late September. Check here for more info as it becomes available. Marcus Rowland, mrowland@ffutures.demon.co.uk, will be launching the new Forgotten Futures CD-ROM with Forgotten Futures VI: Victorian Villany within the next few weeks. If you're already a subscriber but have changed your address recently, please contact him with an update. The first weekly installment of TRMGS Online is up with two new articles and four articles from our archives. TRMGS Volume One Available! Buy It Here! Transactions of the Royal Martian Geographical Society, Volume One, The Journal of Victorian Era Roleplaying, is at long last available for purchase. See our Buy It Page for more information. TRMGS Volume One contains Issues One through Four of TRMGS, with some new art, an index to Space:1889 articles in Challenge magazine, and an index to Space:1889 published products. TRMGS Volume One has it's own page listing the contents. As we add material to the new TRMGS Online, we'll make links from the Table of Contents for TRMGS Volume One to allow you to sample its contents. TRMGS Volume Two is currently getting it's final editing pass, and is on track for late August release. TRMGS Volume Two will include Issues Five through Eight of TRMGS. New TRMGS Online Beginning in July! Under the guidance of Dr. Mark Clark, TRMGS will resume publishing new material beginning in July. The current plan is to place one new article on line each week (by Monday), accompanied by an article from the TRMGS archives. In addition, we'll include reviews and news there as they arrive. We're actively seeking submissions for new material, and we'll be paying good rates for it. The new material will see print next year as TRMGS Volume Three. For more info, please see our TRMGS Online page. Unfortunately, we've had to cancel the Time's Eye project. We're hoping to carry over the material from Time's Eye to TRMGS Online. We canceled the project largely due to a lack of time... we're going to be focusing our efforts on producing Forgotten Futures books over the course of the next year.